pendant length of 4". 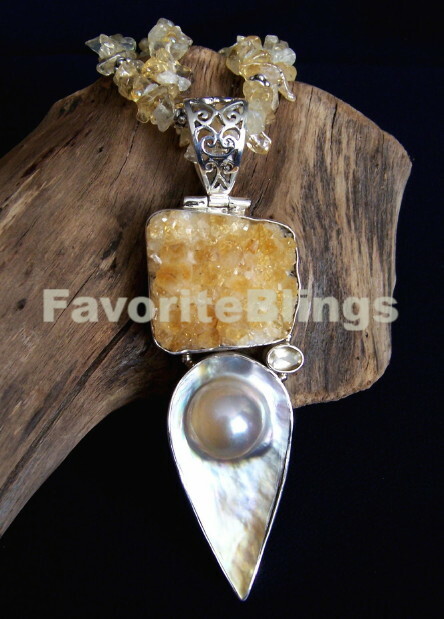 An earthy FavoriteBlings USA handmade gemstone statement necklace. Bali sterling silver toggle clasp. A one of a kind original, overall necklace length is approx. 20-1/2". this stunner makes an awesome heart-stopping gift! Own this goddess bling directly from my FavoriteCollectibles shop at Etsy!